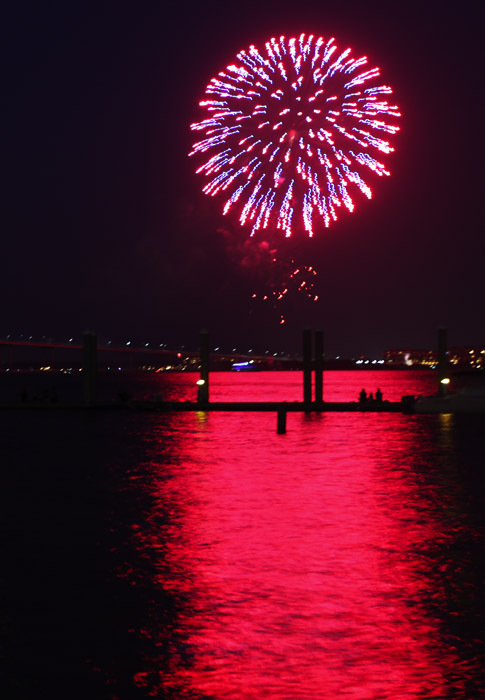 My girlfriend, her daughter and I went downtown for the fireworks display over the harbor on the Fourth of July. I snapped a few pics from the Charleston Maritime Center. The above photo was posted on The Post and Courier's Facebook page and received 168 "likes." Not that anyone is counting. 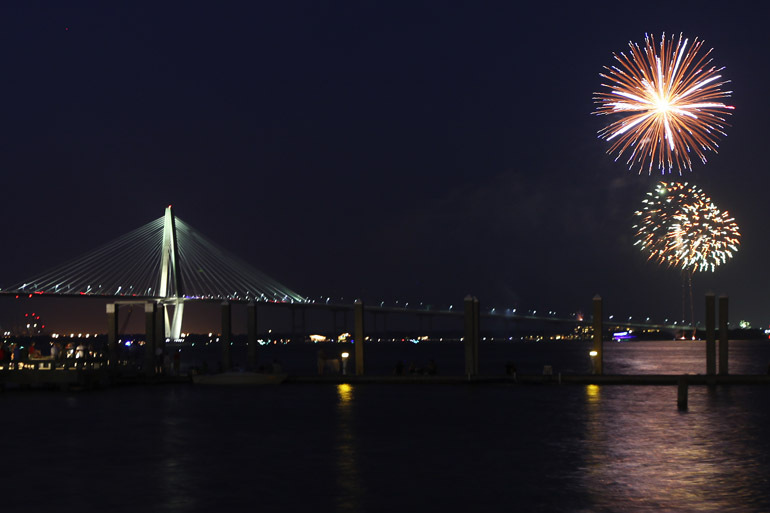 It turned out that our location offered a nice view of the fireworks and the Arthur Ravenel Jr. Bridge. But the bursts were still sort of low in the sky. It was the first time I photographed fireworks anywhere but on the beach. A cityscape was a nice change.